We are now offering non-surgical Spinal Decompression therapy. 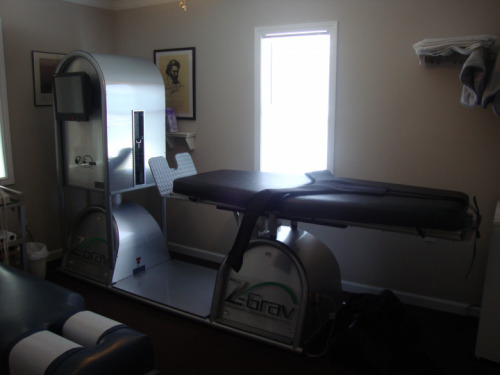 We are the only chiropractic office in Flowery Branch, Ga. offering this hi-tech treatment on the Z-Grav (Zero Gravity) table. Spinal Decompression is a conservative treatment option for many patients suffering the effects of disc herniations or bulges of the neck and/or low back, spinal stenosis, degenerative changes and radicular or referred pain patterns. If you are suffering with any of the conditions mentioned above, it is important that you schedule a brief consultation with Dr. Hock to see if Spinal Decompression therapy is right for you.